Almost two weeks into the New Year, here are a few of our favorite Nutrition Supplement to help us wonder moms remain calm, healthy and stronger than ever! “As former athletes, we spent years sifting through an array of nutritional supplements,” say Charlie Turner and Lee Forster, who bring this unparalleled knowledge to their own brand. These ‘Lean Boost’ capsules are blended with natural vegan ingredients that aid in the breakdown of fats and generate metabolic energy. Natural caffeine sources like organic Matcha Green Tea help to reduce fatigue without giving you the jittery feeling associated with other products. 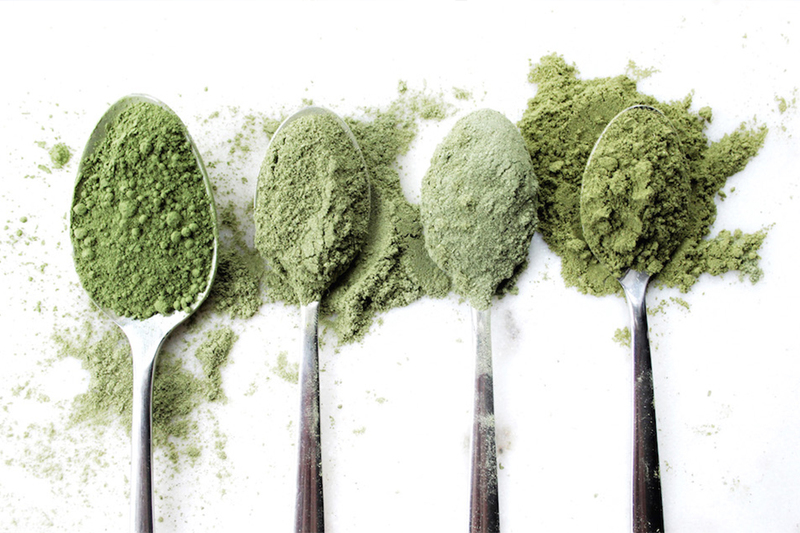 “It is an investment but it’s cheaper than a good face cream,” says supermodel Elle Macpherson of The Super Elixir’s greens-based supplement powder. She attributes her skin’s vibrancy, high energy levels and controlled weight to the product. Formulated in conjunction with nutrition expert Dr. Simone Laubscher, the combination of vitamins, Chinese herbs, enzymes and pre- and probiotics helps support optimal functionality of the body’s systems. “Beauty begins in the belly” says Carla Oates, founder of Australian company The Beauty Chef. This ‘Collagen Inner Beauty Boost’ is a bio-fermented probiotic concentrate that’s specifically formulated to target firmness and fine lines, as well as aid skin maintenance for a radiant, naturally plumped complexion. It combines certified organic Maqui Berry, Acai, Papaya, Blueberry, Goji-berry and Pomegranate powders with Grape-seed extract, Zinc and Vitamin C to boost natural collagen formation and leave skin visibly smoother. Moon Juice’s all-natural ‘Beauty Dust’ is blended from alchemizing elements known for their youth-preserving and fortifying qualities. This medical-grade formula gently increases collagen and silica production – resulting in a more glowing complexion, glossier hair and brighter eyes. Try mixing yours with milk or tea. Flavored with natural Dark Carob, Chamomile and French Vanilla, Bodyism’s delicious supplement promotes restful and rejuvenating sleep. Restorative Amino Acids encourage muscle recovery, support the immune system and help the body recover from stress. Rich in Calcium and Magnesium, this calming formulation also blends antioxidant Wild Rosella with antibacterial Liquorice Root. FOUNTAIN offers you a new, natural way to fight the effects of chronic and short-term stress with ‘The Happy Molecule.’ Concocted as a super supplement, this pineapple-flavored liquid elixir contains GABA and antioxidant and anti-inflammatory Curcumin – the main active ingredient in turmeric – for instant relief. Mix two teaspoons into your afternoon tea to restore calm and peace. Developed by world-renowned skin specialist Dr. Daniel Sister, Beauty Works West’s YOUTH capsules contain a combination of vitamins, minerals, amino acids and a marine plant extract to boost growth hormones and support the body’s fight against aging. Encouraging visible skin repair, increased hair and nail growth and wrinkle reduction as well as stronger bones, these all-natural unisex food supplements are the ultimate beauty boosting must-have. Holistic and wellness label Moon Juice believes in the healing and rejuvenating power of natural ingredients. ‘Action Dust’ is inspired by an ancient formula to support peak performance, stamina and longevity – the perfect boost pre or post workout. It’s blended with organic and natural herbs to help regulate your energy and metabolic functions, while aiding recovery from intense training. Add one teaspoon to your favorite nut milk or tea.